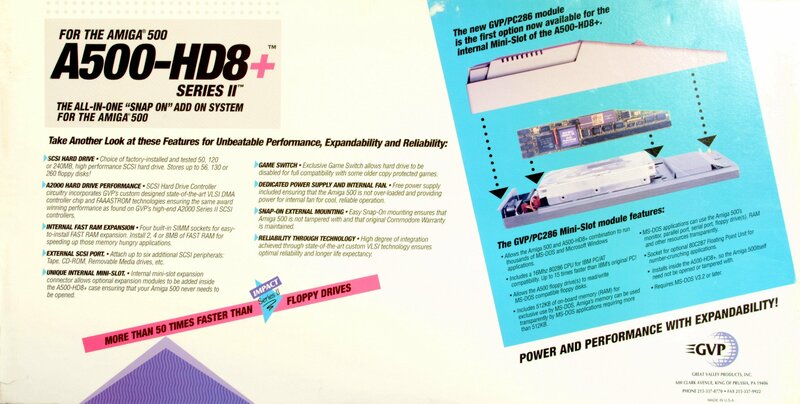 The GVP Series II HD8+ and HD+ (*) is a high performance SCSI controller and memory expansion for the A500/+. It connects to the left side expansion slot of the A500/+, and closely matched the case aesthetics. The unit has 4x 30-pin SIMM sockets that can utilize up to four 1Mx8 or two 4Mx8 SIMM modules. 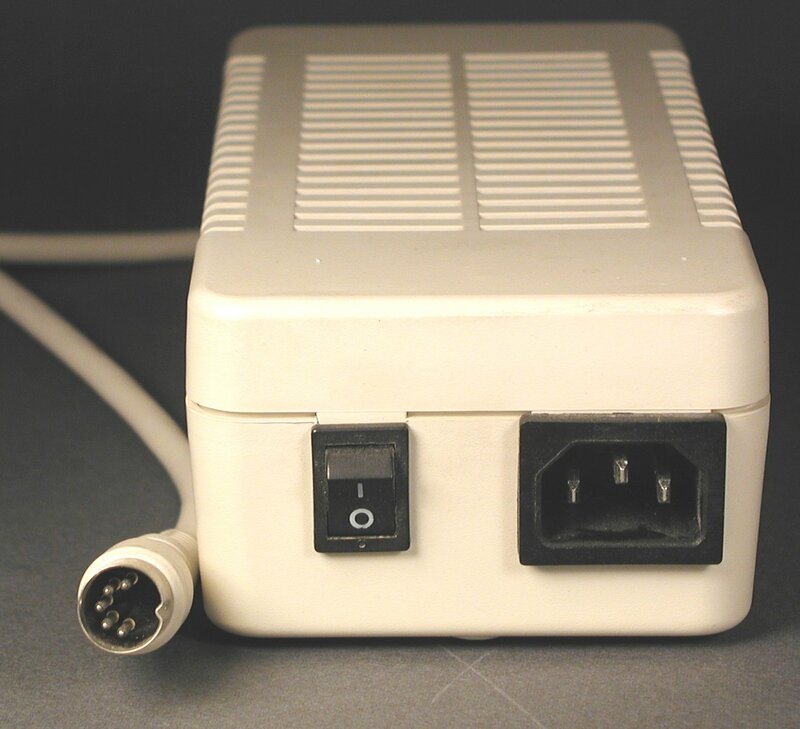 A power supply for the GVP unit is required unless an A500 PSU with upgraded 5v/12v ratings is used. 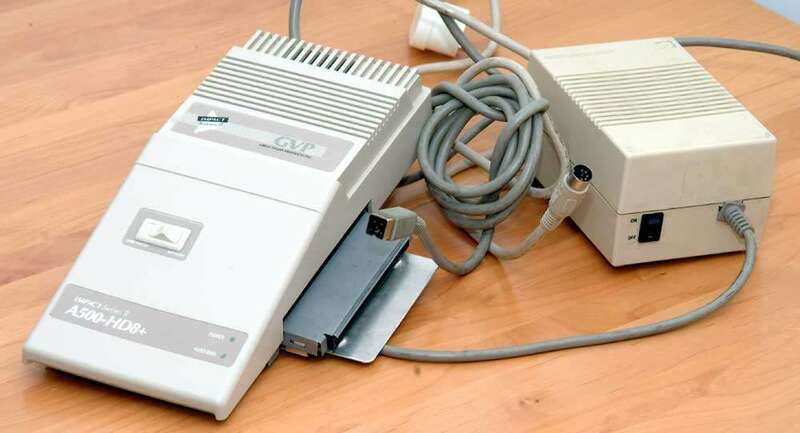 This unit does not use the GVP SIMM32 modules. 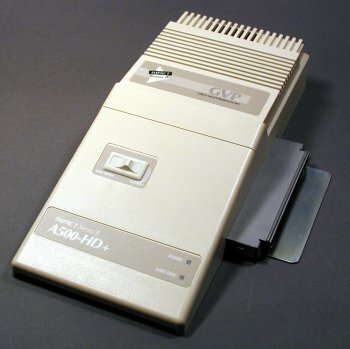 Early units may have had labels with 'Impact' on them, but all will have Series II in the name. The [GVP A530] is a different product, with a 68030 processor and uses different RAM. 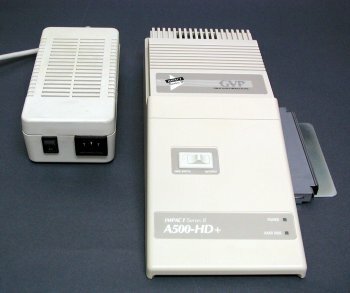 (*) The products are identical/same internals although the product label changed at some point. They all had Series II identification. Early models had the old 'Impact' marketing name. 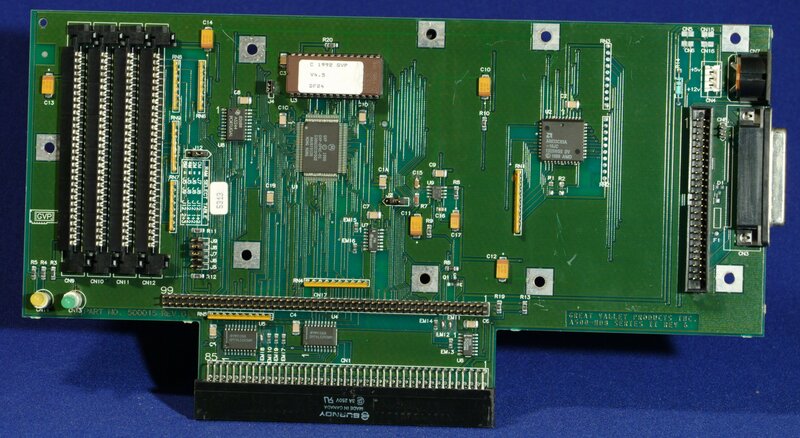 2/4/8MB, zero-wait state, FastRAM controller and ANSI XT3T9.2 compatible SCSI interface. 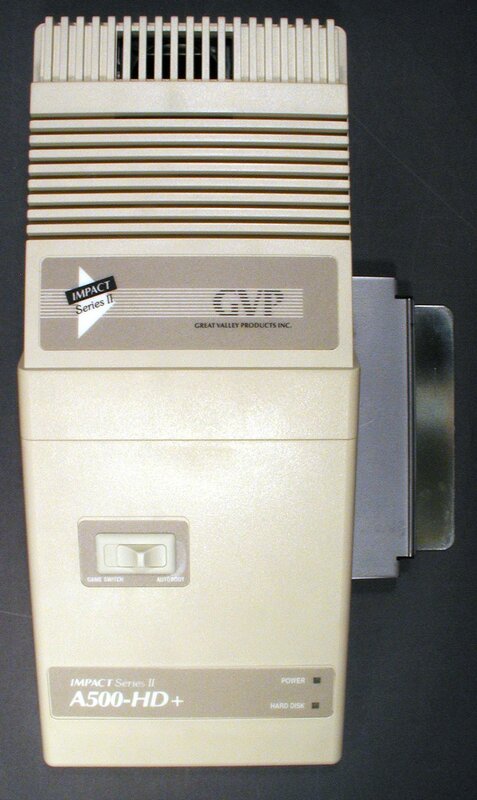 GVP Dual Port RAM Controller w/High performance DMA transfers to and from hard-disk. 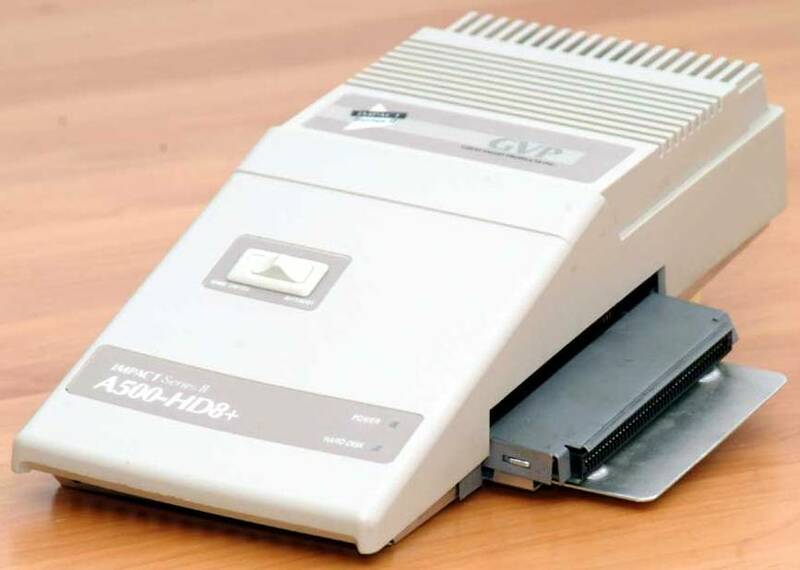 SCSI data transfer rates of up to 3.58MB/sec. 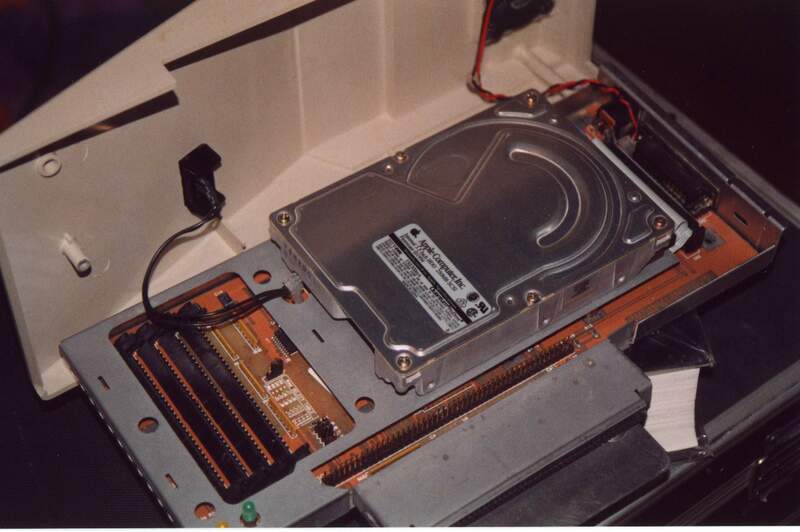 Auto-configuration for both Fast RAM and SCSI interface. Internal 50-pin SCSI connector, External 25-pin SCSI connector (DB25). FastROM 3.x/4.x, can be disabled with switch for game compatibility. Compatible with GuruROM. Page contributors: Hendrik-Jan van Duin, Keith Emer, Konrad Popp, Mario Misic, NicDouille, Olivier Anguille, RiWa & Friends, Robert Miranda (GVP Tech Support).